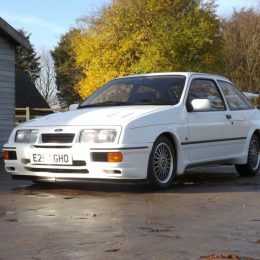 A 1987 Ford Sierra Cosworth RS500 in excellent condition and a low mileage will be offered at auction by Classic Car Auctions on 3rd December. 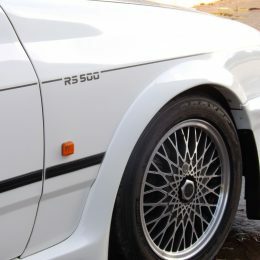 The car is one of the most desirable and collectible Fast Fords of the 80s era. On the market for the first time since 1988, the car will be auctioned with a sale estimate of £60,000 to £70,000. 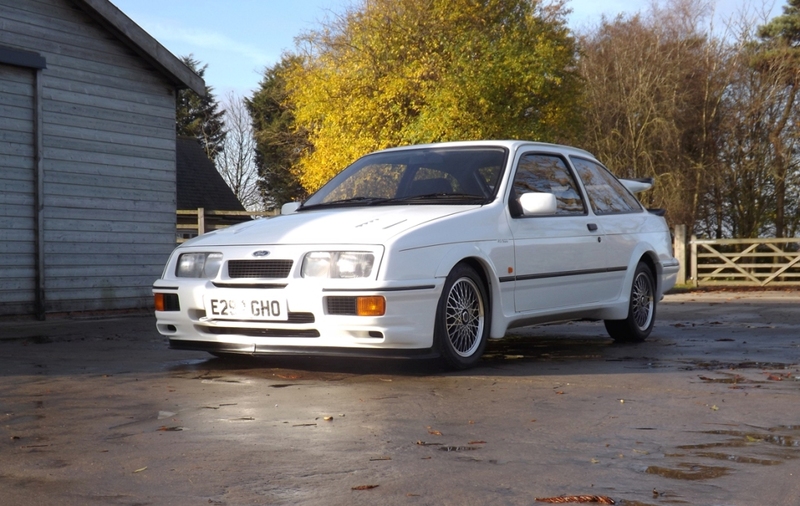 A rare 1987 Ford Sierra Cosworth RS500 in outstanding condition with just 12,000 miles on the clock, will go under the hammer at Classic Car Auctions’ (CCA) December Sale on 3rd December at the Warwickshire Exhibition Centre. 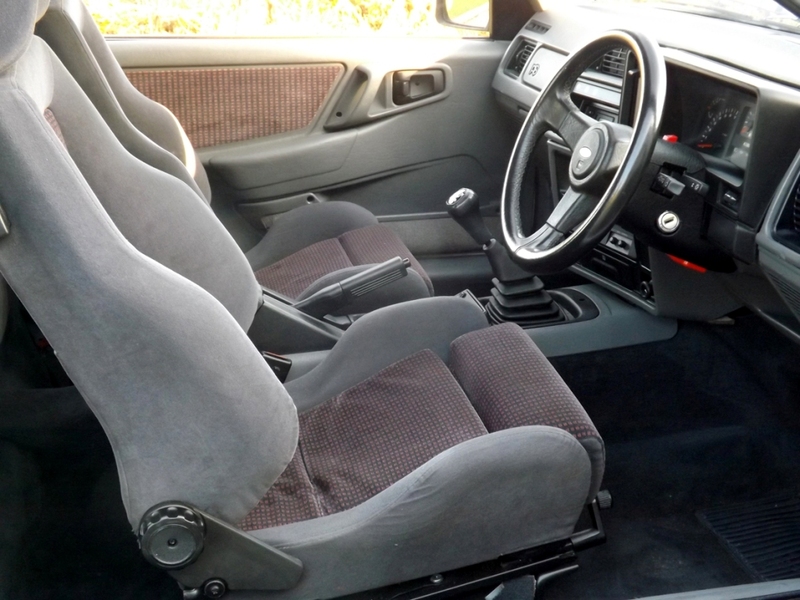 This right-hand drive, manual example, build no.451, was bought by its first owner in 1987, before being sold to its second owner in 1988 when it had covered just 2,000 miles. Having used the car sparingly up until 1995, he then emigrated to the United States. 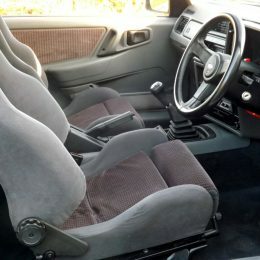 During this time the car was put into climate controlled storage, preserving its condition until the owner shipped it out to join him in the US in 2000. Despite his best efforts, however, he was unable to register the car for use in America and the car was again put into dry storage in the owner’s private garage until earlier this year. when he decided to return it to the UK for sale, there being no market for the vehicle on the other side of the Atlantic. After its travels across the globe, the car is now back in the UK and has been treated to a light renovation and careful recommissioning by highly respected performance specialists Graham Goode Racing, restoring it to its original standard specification in all respects, in preparation for sale. Now presented in exceptional condition, with just 12,000 miles on the clock, it will be offered at auction with an estimate of £60,000 to £70,000. 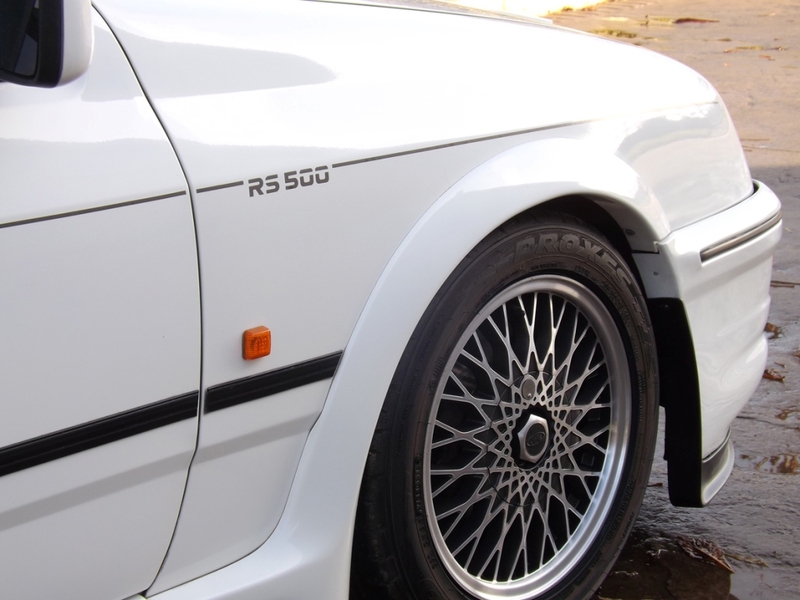 The accompanying documentation includes the original Ford Sierra Cosworth Owner’s Manual, the RS500 Supplement, the Service Record book, the current MoT Certificate and the receipt for the recent work carried out by Graham Goode Racing.